An architect is sacked after his boss tells him that his ideas are passé. That architect, already mired in self-esteem issues and suffering from undiagnosed depression, goes to a local public bath to relax but instead ends up barely suppressing his short fuse thanks to the loud cavorting of his much-happier fellow patrons. His wife is mad at him because his salaryman ways place her existence second fiddle to his professional life – or, at this point, lack thereof. It’s a modern-day scenario that can play into an epic drama unfolding over psychological decline, the deterioration of relationships and the perils of plummeting self-worth in, really, any country in the world. But these facts actually set up a comedy based on a popular manga that sees a proud but insecure man from ancient Rome revive his sagging career as a public bath designer. How? By accidentally traveling forward in time to Japan for inspiration and back, nearly drowning during every journey but somehow managing to return with recyclable ideas and a precious artifact to reproduce, saving his career and ultimately capturing the attention of the Roman emperor Hadrian. 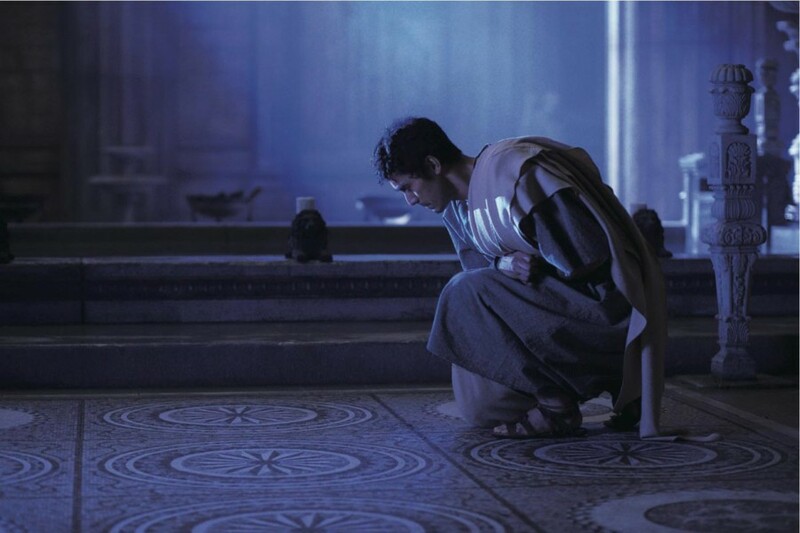 In “Thermae Romae” – Latin for “Baths in Rome,” the same title of co-screenwriter Mari Yamazaki’s manga, the appropriately named Lucius Modestus (Hiroshi Abe) is navigating his existence in 125 A.D., and as much as his friends and associates tell him to cheer up, he remains ensconced in his funk – and a trip to the local bath does little to suppress his agony. When Lucius holds his breath underwater to, no pun intended, drown out the noises of the men around him, a stream of water gushing out of a hole in one of the walls piques his curiosity. As he heads toward it, the current draws him in, and he emerges in an indoor public bath in Japan, surrounded by gaping elderly men whom Lucius has nicknamed the “flat-faced tribe” of “slaves,” figuring that they are just common folk in a neighboring province that Rome has already conquered. Surveying his surroundings, though, depresses him further, as he finds that these so-called slaves have improved the second-century model of public bath light years ahead with inventions such as faucets, accompanying refreshments, exfoliating towels and other amenities. As Lucius incorporates these elements into his own designs, his star rises but he increasingly feels like a fraud. Intersecting with Lucius’s troubles are two other related stories. On the Roman Empire side, an aging Emperor Hadrian (played by Masachika Ichimura) has to choose between two possible successors to his throne. On the contemporary Japan side, a struggling country bumpkin manga artist (Aya Ueto) is about to give up on her dream. Lucius – and his public bath designs – is the central figure in all these characters’ lives, which somehow collide when the future of the Roman Empire (!) rests in his hands. 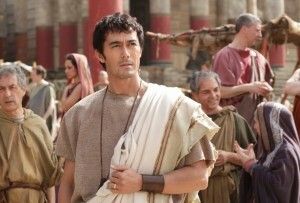 The obvious star of “Thermae Romae” is Abe, who won the Japan Academy Prize for Best Actor as Lucius. Abe is perfectly cast as the wide-eyed, internally tormented, chiseled walking sculpture – and despite the fact that everyone in the Roman Empire seems to speak Japanese while in Japan, Lucius can only make do with Latin, his layered performance helps “Thermae Romae” find the appropriate middle ground between extreme comedy and drama. As a result, the story carries a lot of heart and the important message that life is about finding one’s voice, even if it appears too difficult to carry on. “Thermae Romae” screens as a co-presentation of Japan Cuts and the New York Asian Film Festival on Sun., July 14, at 5:15 p.m. The screening is sold out, so contact the Japan Society to see if a waiting list will open up (contact information at japansociety.org). A sequel starring the same cast is already in the works for 2014.